– To live well, in abundance. To live off the richest, choicest part of something. How do we best “live off the fat of the land?” By eating fat. I have found myself bombarded lately by questions, misconceptions and fears about fat so I thought it was about time to break down fat. Pun intended. Well, if you know anything about my perspective, you’ll already know I’m not buying that. Not one bit. Are there some types of fat that are bad for us? Yes. But they might not be the kinds you think. The intricacies of fat chemistry (and metabolism) is overwhelming for all but the nerdiest of us (including me), so my goal is to break down fat pretty thoroughly while trying to keep it as simple as possible. Let’s take a look at fat, clear up some of the confusion, reformulate how we look at it and then overview the best fats and oils to incorporate into our daily menus. If you just want the juiciest part of today’s fatty post, check out the recap and guides at the end. Fat, technically termed “lipid”, is a broad description of a group of compounds that don’t dissolve in water. 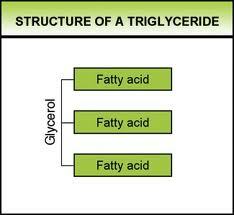 More specifically, fat is a collection of triglycerides, which are molecules comprised of three fatty acids attached to a glycerol (the chemistry of lipids is very complex, hence the simple diagram of the molecular structure). There can be many different structures to each fatty acid and this is what determines what kind of “fat” it is. Depending upon the hydrogen and carbon bonds, fatty acids are categorized into different classes. These classes are saturated, monounsaturated and polyunsaturated. So what we know as a “saturated fat” is simply a collection of triglycerides where saturated fatty acids are attached to the glycerol molecules. A monounsaturated fat is a collection of triglycerides where the glycerols are bonded with three monounsaturated fatty acids. And polyunsaturated follows the same formula. Fat is fat. It doesn’t matter where it came from, plant or animal, the body doesn’t know the difference. The fatty acid and molecular structure is the same, regardless of the origin in nature. Plants and animals share fatty acids. The monounsaturated oleic acid in olive oil is the same as the oleic acid in bacon. The saturated stearic acid in chocolate is the same as the stearic acid in beef. The polyunsaturated fatty acids in walnuts are the same as in chicken. So we need to let go of “animal fat being bad for you” (animal fat could likely be better for you) and think more about what type (saturated, mono or poly) of fat we are eating. What Determines the “Type” of Fatty Acid? How saturated a fatty acid is determines its stability. Saturated fats are the most stable, monounsaturated are less stable and polyunsaturated fats range anywhere from quite to extremely unstable. When you look at the diagrams of these fats, you can literally see gaps or holes in the fat’s structure. This is why the fat is vulnerable to oxidation and rancidity. Heat and oxygen take advantage of these gaps and react with the molecules, creating an unstable and inflammatory fat. The more gaps, the more unstable the fatty acid. The hydrogen molecules literally form a shield around the fatty acid (saturate it), keeping it stable and safe and enabling the body to maximize its use with the least harm of reaction. Think this: saturated means stable. Unsaturated means unstable. Fats also come in a variety of lengths, from a 3 carbon backbone all the way to a 36 carbon base. The length determines how they are broken down and metabolized and how they are dispersed for different uses in the body. Just as an example, butyric acid (4 carbon, considered a “short chain” saturated fatty acid) gets broken down easily and serves to help repair intestinal lining in the gut. Butter, for example, contains high amounts of butyric acid. An example of a medium chain fatty acid/triglyceride is lauric acid, which has the unique property of getting directly sent to the liver to be processed into energy, used preferentially by the heart and brain. Coconut is one one best available sources of lauric acid, which is also found in human breast milk. Long chain fatty acids were examples diagrammed above (e.g. stearic acid: an abundant energy source, known as “diesel fuel” for the body. Where do you find this fat? Beef. Human breast milk. Oh yes, and chocolate) and below is palmitic acid, a very common fatty acid, with antioxidant effects in the body. Found in high concentrations in palm, coconut and yes, chocolate. There is also a group of Very Long Chain Fatty Acids (22 carbons and up) but we won’t need to cover those in depth here. Fat could literally be the most important macronutrient for the human body (although some would argue protein is king). Important for structure, energy and nutrient transportation, fat is key in every cell and process in the body. In essence, fat is good for everything. Energy. The most dense form of energy available. Regulation of lipoproteins, think HDL and LDL. Calcium and other mineral absorption. Liver protection and fat removal. Coats the inside of the lungs, allowing proper function. Immune system and white blood cell health. Vitamin transport and absorption (A, D, E & K). Cardiovascular and endothelial tissue health. Here’s the catch: Eating naturally occurring fats provides these benefits. Eating processed, oxidized and chemically created/extracted fats do the exact opposite. So What Kind of Fat Should You Eat? Simply put, you should strive to consume a variety of naturally occurring fats, focusing on saturated and monounsaturated fats, with a little bit of polyunsaturated in the form of Omega 3, 6 and 9 (the number designation simply refers to the position of the first carbon double bond- the body functions best with a nice balance of each, too much of one of them- even Omega 3- is a problem). The easiest way to get a variety is to eat a variety of plants and animals and the fat that comes with them. Ruminant animals (think grass grazing animals) create the best profile and ratio of fatty acids, supplying ideal amounts and ratios of saturated, mono, and poly fats (as do eggs, some fish and seafood). Other animals, such as pork, chicken and turkey also have a variety of fat types, but typically have higher proportions of polyunsaturated fats (including an imbalanced omega 6 to 3 ratio) than ruminant animals. Plant based sources of fat (such as olives, avocados, nuts/seeds and coconut/palm) offer good fats but are usually dominant in one type of fat or another. Olives and avocados are mostly monounsaturated, nuts and seeds are primarily polyunsaturated and coconut and palm are mostly saturated. Eating a variety of these foods will give you a nice blend of all the fats your body needs for proper function. So What Kind of Fat Should You NOT Eat? The most problematic fats we encounter can be categorized into two categories, trans/hydrogenated fats and processed/excess polyunsaturated fats. Trans and hydrogenated fats are chemically created in labs, infused with hydrogen and are very chemically reactive in the body. They are bad news, period. If you see trans, hydrogenated or partially hydrogenated anything on a label, this is bad stuff, stay away. The food industry has gotten rid of much of the trans fat but you still need to look at ingredients for the presence of other hydrogenated oils that are still deemed “safe” if you want to know for sure. There are a few naturally occurring trans fats, but those occur naturally, do not cause harm to the body and come in foods that don’t have labels. The second group of problematic fats are the excessive and reactive polyunsaturated fats. The little occurring natural amounts of them are not a problem (such as in a handful of walnuts, chicken skin or flax seed) unless they are heated. The industrially processed, heated, oxygenated versions are a big problem. As noted before, polyunsaturated fats are very unstable and both heat and oxygen can turn them rancid. Unfortunately, these fats are everywhere and people, including many doctors and scientists have gotten their biochemistry confused a bit. Some misinformation, misunderstanding, politics, money and good intentions have all paved the way to some bad recommendations. The fats in question here are the industrial vegetable and seed oils: Soybean, Canola, Corn, Peanut, Cottonseed, Grapeseed, Safflower, Sunflower and a few other similar oils. All of these are polyunsaturated fats, which makes them vulnerable to turning rancid. They are also typically high in Omega 6, a very problematic fat. Although Omega 6 is necessary at small levels (and when in balance with Omega 3, which is highly touted as the balancing anti-inflammatory fat), excessive amounts can be extremely inflammatory. Most of these seeds, vegetables and grains are GMO (genetically modified organisms) which is a major strike against them right off the bat. Additionally, these oils are man-made, often chemically created in plants with high heat, extracting chemicals (such as hexane in the case of soybean oil), and deodorizing agents. All this creates a toxic and reactive fat before it even gets to the store shelf. Add in the popular uses for cooking and baking, which means more heat and oxygen, adding even more oxidation and reactivity. The common nickname for these oils are “Frankenfats” and I hope you see why. End result = major inflammatory, reactive and unstable fats in your body, damaging tissues and often taking the place of healthy fats. Fat is good for you, vital for proper functioning and needed in copious amounts. Not eating enough or eating poor sources/ratios of fat can lead to a host of problems in the body. Fat, made up of triglycerides, is a broad category with many different types of fatty acids: saturated (long, medium, short chain), monounsaturated & polyunsaturated (Omega 3, 6 & 9). All are structured differently and have different reactions and responsibilities in the body. Saturated fat is the most stable of all types, polyunsaturated is the most unstable. Fat is not species specific. There are no “plant” or “animal” fats. Animal fat is not synonymous with saturated. Animals contain saturated fat, along with other types as well. So do vegetable fats. Animal fat typically carries a more desirable variety of fats while plant fats are a little more type specific. Both offer good fat sources. Eat natural sources of fat to ensure proper balance and quantity. Best sources include meat, fish, seafood, eggs, fowl, coconut, palm, grass fed dairy, olives, avocados, nuts and seeds. Oils from these sources are also OK if naturally pressed and not chemically extracted. 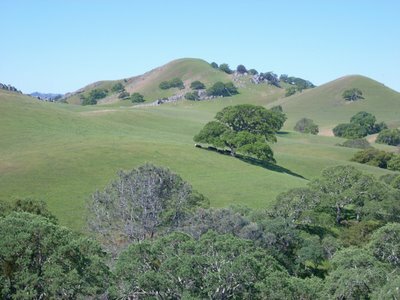 The quality of the source (grass fed or pastured animal, humanely raised, organic and minimally processed) also contributes to the quality of the fat. Cook with saturated fats, monounsaturated fats can handle mild heat, do not heat polyunsaturated fats/oils. Avoid processed fats (trans, hydrogenated and vegetable/seed oils). And there’s the fat of the matter. 1. Embrace fat- the body runs best when it has abundant fat in the diet. 2. Eat saturated fat, all kinds and lots of it. 3. Eat some mono and polyunsaturated fat, focusing on mono and Omega 3 poly sources. 4. Avoid trans/hydrogenated/excess/heated polyunsaturated fat at all costs. 5. Use old nature-made fats, not new man-made fats. Thanks for reading, have a great fat filled week! Great article. That explains why children who are starved in early childhood often have learning problems. Their brain didn’t get the good healthy fats it needed. Thanks. Many people believe that to be exactly the case. Fat is crucial to proper development, particularly in the brain!